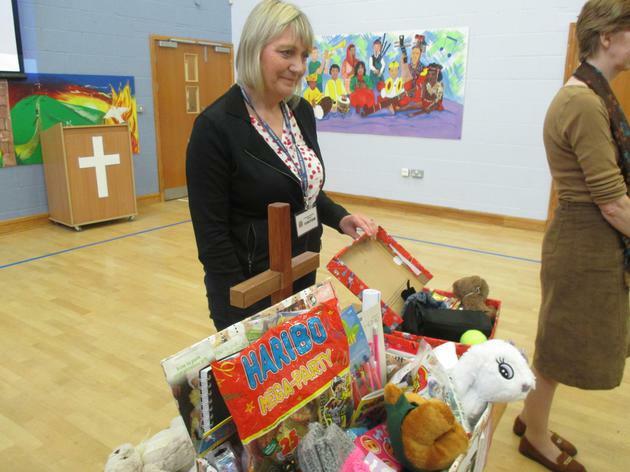 On 1st February, Andrew, Eileen and Ian came to school to collect the gifts from Cuerden Church School to the NET School in India. 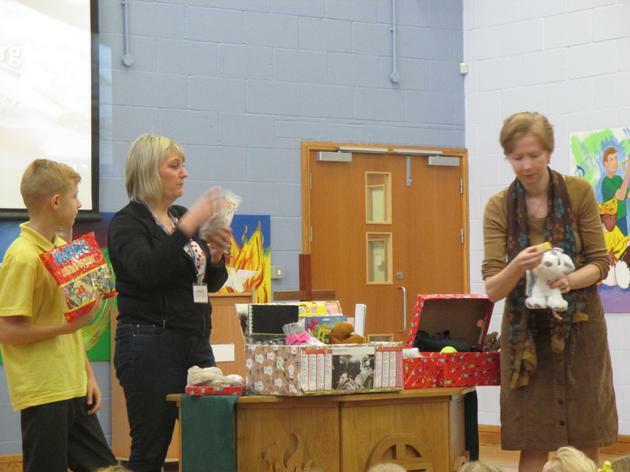 There were all sorts of toys for the children to play with outside. 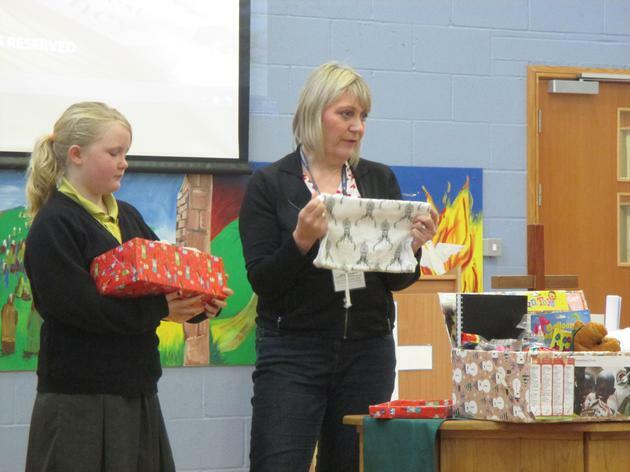 The Year 6 school councillors presented the box of goodies. 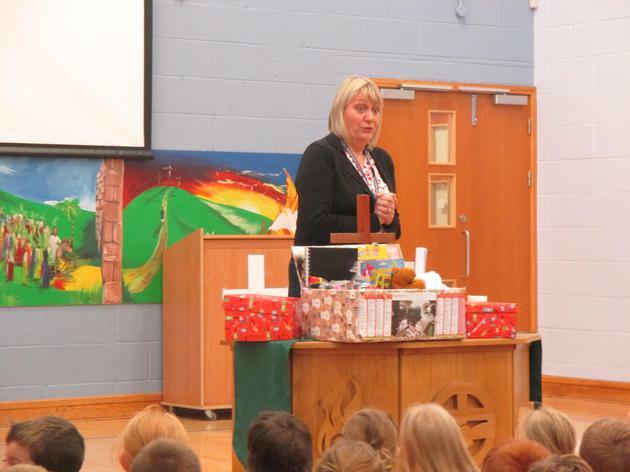 On 30th November, Graham came to school to deliver his Thursday worship on St Andrew's Day. But he made it special by wearing his kilt. 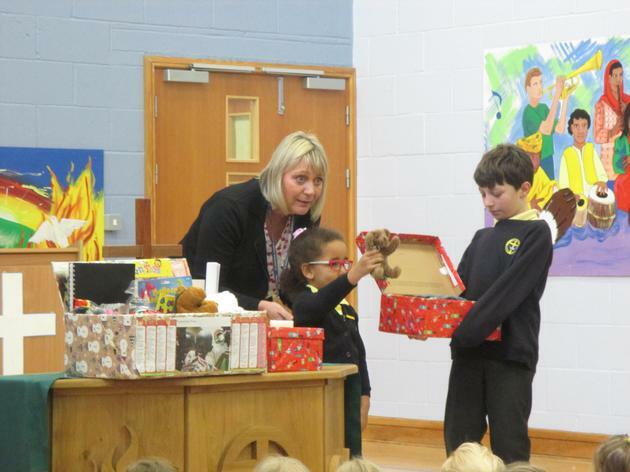 On 7th November, Sarah came from The Salvation Army to ask us to collect items for shoe box gifts. 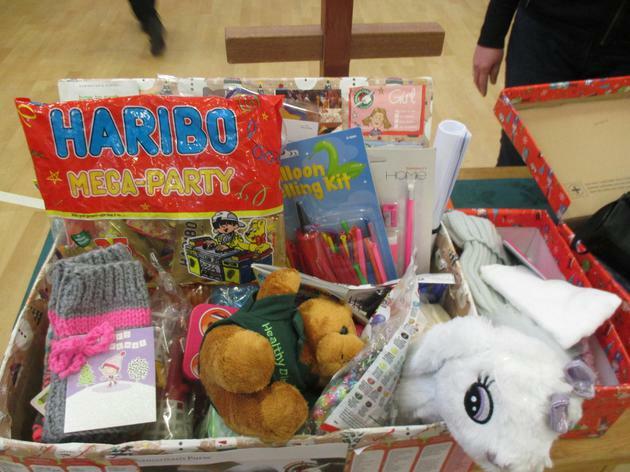 They fill the boxes with lovely gifts and surprises and then send them to children around the world who wont be getting anything for Christmas. 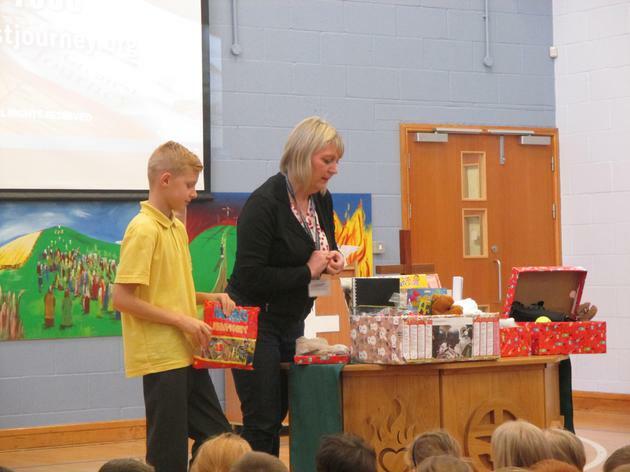 They put a Bible in the boxes and Sarah showed us a very moving film about a boy who read the Bible in his box and turned to Jesus from a life of crime.